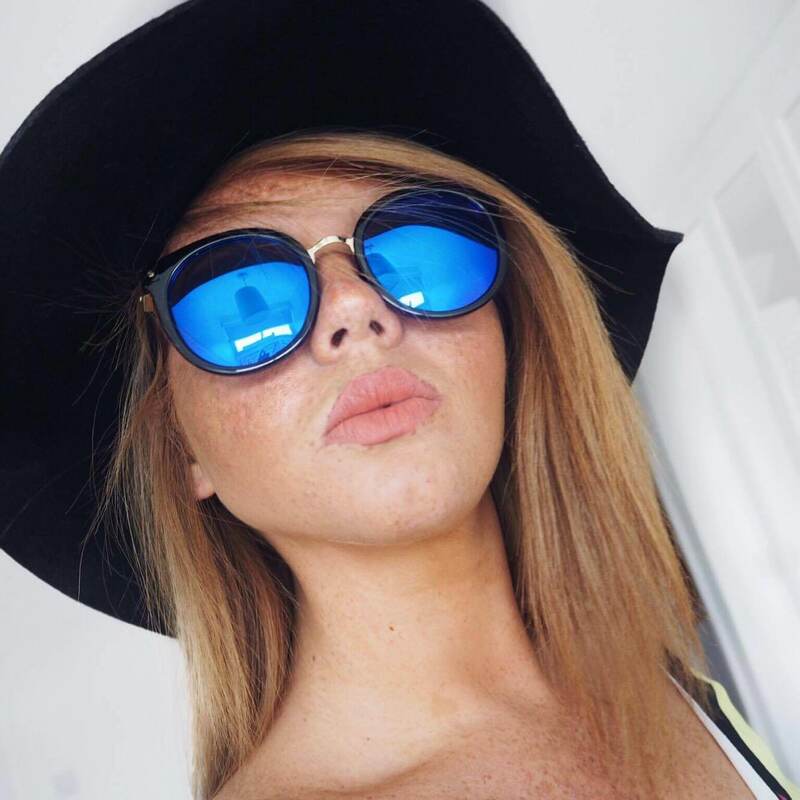 For a while now I have been lusting over the blue mirrored sunglass style and after seeing blogger Sarah Ashcroft rock a pair of Quay Australias I wanted them even more. I absolutely loved these exact ones with the cat eye style and had them on my wishlist for a while. However, Firmoo who specialise in prescription glasses actually sell a range of sunglasses on their website and asked me to review one of their styles. Of course, I had a quick look to see which ones suit my style and these popped up. They were exactly what I have been looking for for a while and decided to give them a go. So my genuine thoughts are as follows! They are amazing! For just £13 I was a little apprehensive of the quality and look but when they arrived I actually opened the package and said OH! They are stunning and haven't had them off since I got them. I took a few selfies on my snapchat and actually got 3 messages asking where they are from! 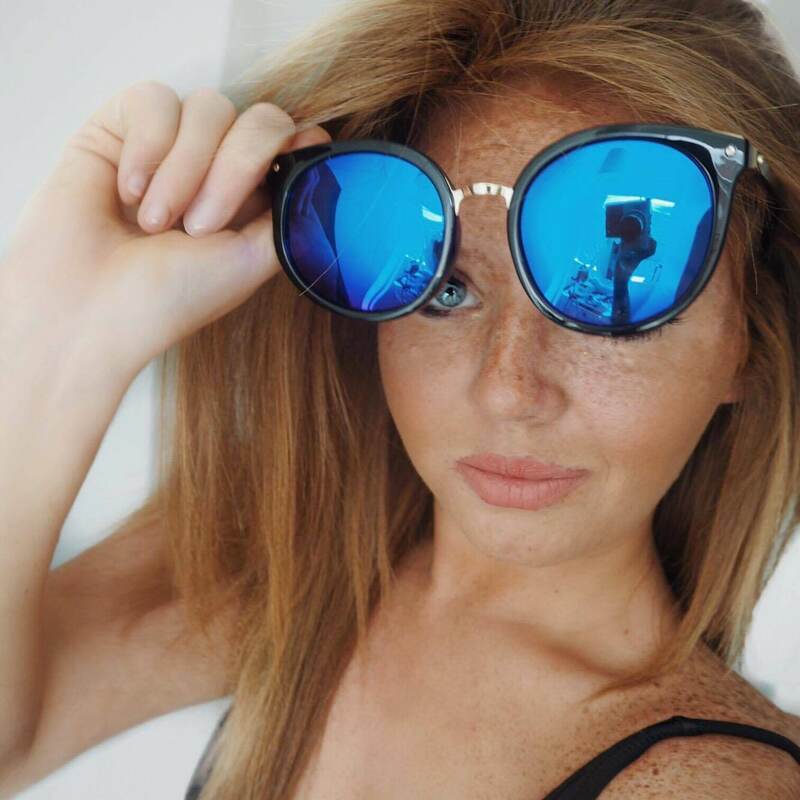 The sunglasses are perfect in size and love the cat eye style! They sit firmly and really do compliment my face shape. I have tried so many blue mirrored glasses on for the past year and until now I couldn't find any that suited me. I kind of gave up thinking the colour just wasn't for me, but these ones have proved me otherwise. I actually noticed they have the same glasses in plain black and added them to my holiday wishlist for July. Are you a fan of the blue mirrored style? 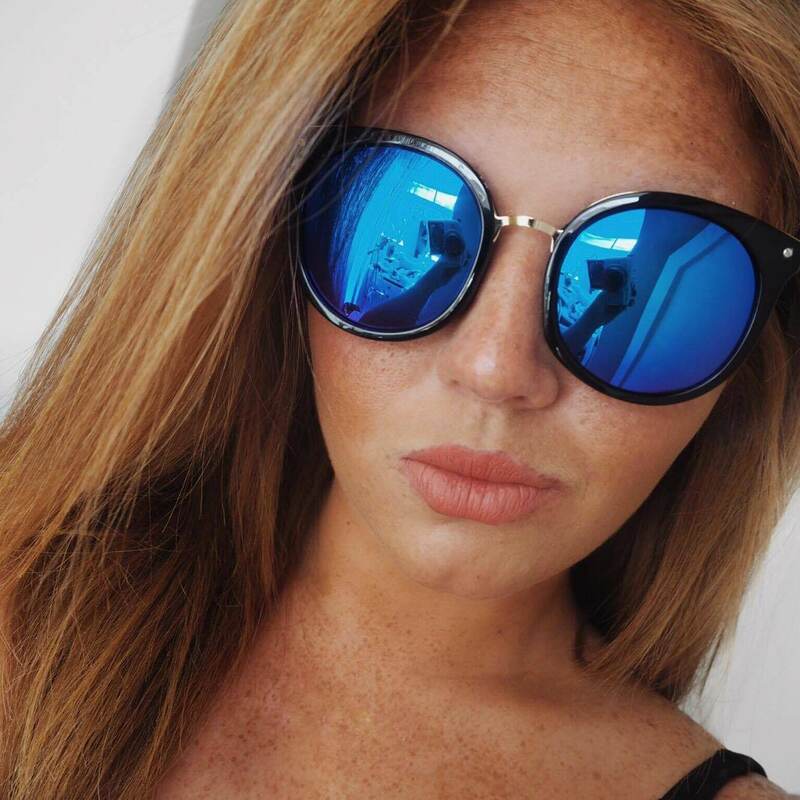 What are your favourite sunnies? i have similar one to these and i love them! cat eye sunglasses are SO in!